Big hair from the eighties looks normal to me. My best friend from high school - she had huge hair. I was never able to get a copy of the Traveller RPG as a kid. The local hobby shop, long since departed, had the Traveller books, but I never knew where to start. I saw little black books - Books starting with 4, Supplements, etc. But I never knew where to get the first three books. 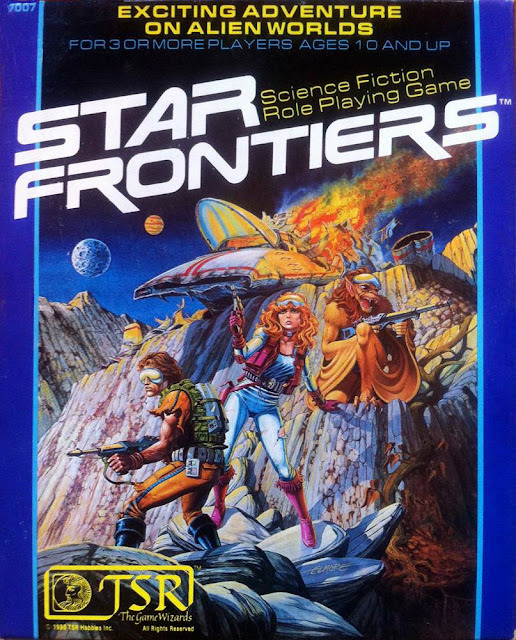 My first science fiction RPG was Gamma World but shortly after it I obtained Star Frontiers. Gamma World scared me a little bit. This was the early and mid 1980s. It was a time when nuclear war didn't seem all that unlikely a possibility. Yes, Gamma World was over the top and wild, but the setting of a fallen Earth always made me feel a little down. Star Frontiers, on the other hand, was something I could get into. Gleaming towers, hover cars, laser pistols etc. Objective: Rebel Intelligence has learned that Imperial Moff Dardano has built a secret listening post in the jungles of Onderon - Whisper Base. This base was not for use against the Rebellion but was rather intended for use against his rival, Admiral Corlen. Not even the Empire knew of it. The Rebel Alliance has sent a small commando team to secure the base as a forward Rebel base. They must cut off its link to a communications bunker and prevent any Imperials from escaping by shuttle. As I mentioned in my last post, I'm teaching my younger daughter how to game using Fantasy Flight Games' incarnation of Star Wars. I'm thinking of doing a few posts where I do a bit of an examination for their incarnation of the RPG. 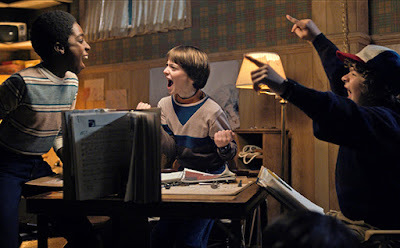 Watching season one of Stranger Things, I was thrilled to see the kids playing D&D. As I've said before, I was the same age as the kids - in fall of 1983 I was 12 years old, in the 7th grade. I'd been playing D&D since the end of the 4th grade in one form or another. I probably wasn't all that good at it when I started. Heck I'm still learning. My younger daughter is in the 7th grade. She's the geeky one of the two girls. Both my daughters are awesome, but when it comes to Stephen King, Star Wars, Doctor Who, and superheroes, she's the one. Quick aside - older daughter and I also share a lot as well. It was she who actually introduced me to Stranger Things, we both love New York City (and subway trains), Disney, and while little sister loves comics and superhero movies, big sister is the fan of the Arrow-verse shows. 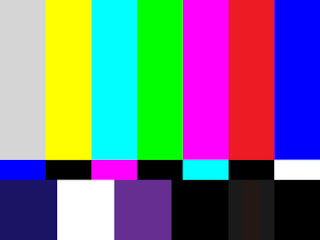 I've put this blog on a brief hiatus. We had a bit of a health scare with one of our daughters at the end of October, requiring a hospital stay. We're past the immediate crisis. I'm playing catch-up in my life, including a research paper that I need to book some solid time on. Hoping to resume posting in another week or two, we'll see. 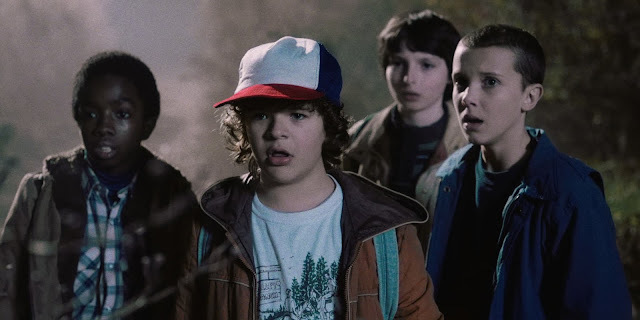 I'm working my way through season 2 of Netflix's Stranger Things. I've commented previously that one of the things I find fascinating about the show is I was the same age as the characters at the time the show takes place - in fall of 1983 I was 12, just like the characters on the show. 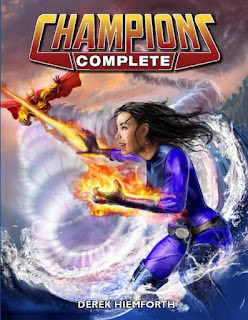 With the release of the new Golden Age Champions, at some point in my future there's a Golden Age superhero campaign (not this calendar year though - still adventures to do in Hyperborea). Though much of the writing and art of the Golden Age of comics is extremely juvenile (with a much younger audience in mind), I've always liked many of the "big ideas" of the era. I'd love at some point to do a game that establishes a superhero universe from the start. Back in my day we didn't have cell phones or text messages or Snapchat. If you wanted to make plans with someone you called their house, maybe asked their parents or siblings to get them on the phone. And you had to plan out where and when to meet like you were planning an amphibious assault. And we liked it. We loved it! I've been looking through some old 1980s games, either old ones from my collection or new acquisitions. I've realized if I were to, for example, play a game of 1st edition Chill or Top Secret, my inclination would be to run it as a historical game as opposed to running it in the present. Chill has a modern day 3rd edition and a new, modern day version of Top Secret is being made. But to me, those classic games really feel rooted in the eras in which they were made. 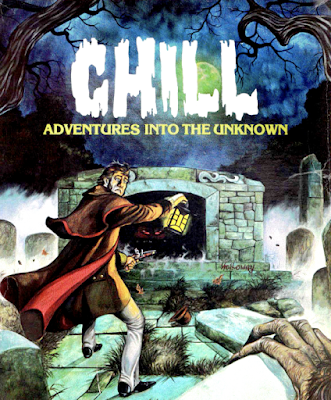 That's not to say they couldn't be adapted to modern times - and Chill would also work great as a Victorian-era game. 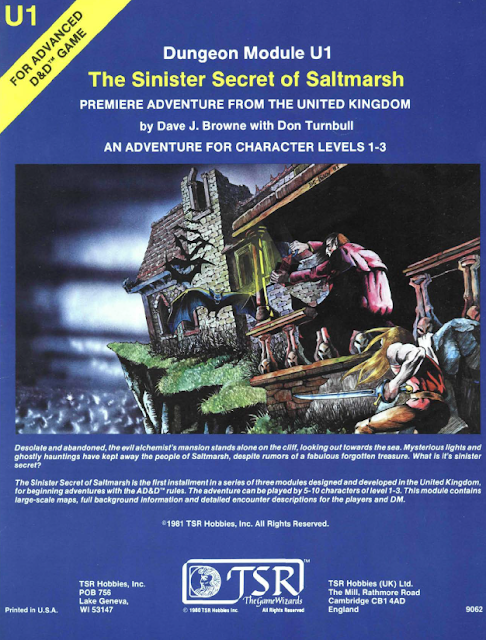 A "haunted" house is being used by smugglers.Those smugglers have been selling weapons to a group of lizard men alarmingly close to Saltmarsh. The lizard men were kicked out of their original lair by sahuagin. Who also pose a threat to Saltmarsh...The lizard men have been assembling an alliance of aquatic folk against the sahuagin. So how does this fit in Hyperborea? 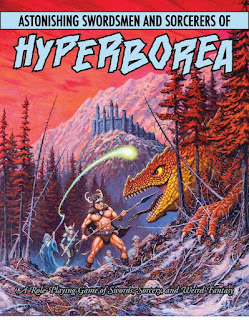 With its long winters, Hyperborea is a horrible place for cold blooded creatures like the lizard men. I posit they must go into a long torpor as their swamps freeze over. 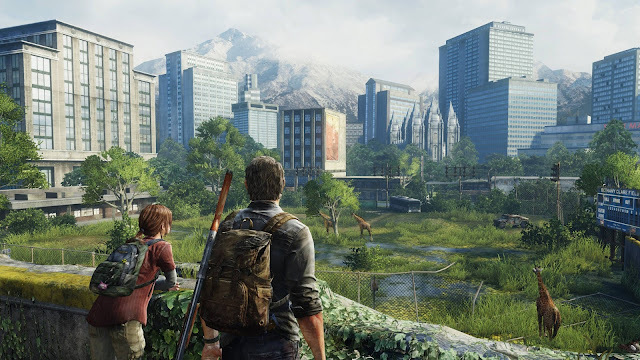 The Last of Us tells the tale of Joel and Ellie in a post-apocalyptic world. Joel is a survivor of the original outbreak in his late forties. Ellie is 14 and for unknown reasons, is immune to the infection. 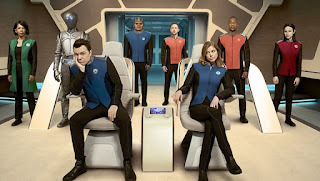 I'd not really been plugged in to the fact that Seth MacFarlane had created a science fiction show until I started seeing people on my Facebook feed talking about The Orville - some people claiming it was the "real" Star Trek show as opposed to Star Trek Discovery. With a brief break from our Astonishing Swordsmen & Sorcerers of Hyperborea game taking place due to some travel going on in our group, we recently had the opportunity to try out Cthulhu Dark. It was just three of us, myself and two players, which in my experience can work pretty well for horror games. Cthulhu Dark is designed for Lovecraftian horror. 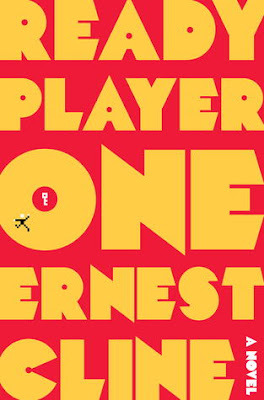 It is about as stripped down a set of rules as I could imagine. Your investigator has a name, a description, and an occupation. He or she has one stat, Insight, which begins at 1. If it reaches 6, your investigator is pretty much insane. 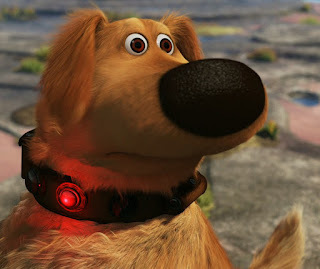 Game over, man. It's been a very long time since I've played a Star Trek RPG - around a dozen years I'd estimate. I'd flirted with the idea of playtesting the new Star Trek RPG but we were in the middle of a campaign I was rather enjoying. With Star Trek Discovery about to premier I've been flipping through some of my old Star Trek stuff as well as the new RPG. 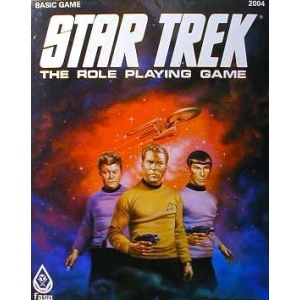 There's a lot to recommend the Star Trek universe for RPGs. The original Star Trek and Star Trek: The Next Generation are great examples of episodic adventures. While I often dream of a 200-part campaign of tightly interlinked adventures, reality tends to make such things difficult in the extreme. A Star Trek campaign offers characters a mobile "town" that can visit adventure locations. One adventure can be high-octane adventure, the next can be an exercise in diplomacy, the next a murder mystery. The fortunate thing is there's a new edition of Astonishing Swordsmen & Sorcerers of Hyperborea that just came out. It's good when the shiny is actually what you are currently playing - and that it's backwards compatible. 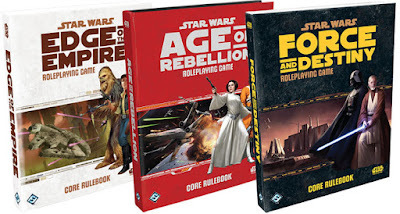 We're going to be down to just three of us for a few games in late-September early-October so we might be doing a standalone adventure/two-parter. 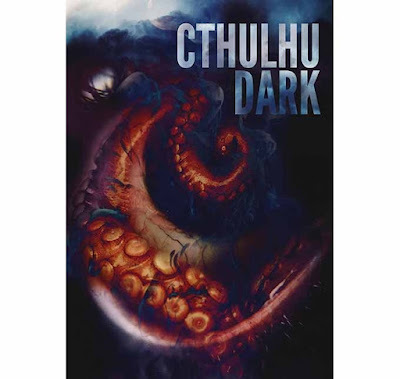 I've been giving some serious consideration to Cthulhu Dark as I'm curious how we'll find the extremely lean rules system. I just received my backer PDF for the 2nd edition of Astonishing Swordsmen & Sorcerers of Hyperborea. Often when a backer PDF is released I'm playing something else so sometimes it may take days or even weeks until I get around to downloading it. Since I'm actually GM-ing an AS&SH campaign currently, I actually downloaded it right away. 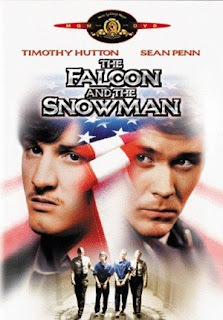 I was discussing grittier spy movies with a member of my gaming group and this film was recommended to me. It's one of those movies that I have a vague recollection of - it might be from hearing the basics of the events this film is based on or it might be from catching it on television. Released in 1985 it is based on events that happened in the 1970s (which is when it takes place). A few weeks ago, my older daughter Victoria and I paid a brief visit to Manhattan. Vicki's been giving some thought to going to New York's Fashion Institute of Technology (still a few years to go for that) but one thing we wanted to make certain of was that she'd be comfortable with the city itself - she'd only been there once before, and that almost ten years ago. Overall it was a great trip. She fell in love with the city. I got to meet someone from my virtual gaming group for coffee - it's always nice to really meet with people I initially get to know via email, social media, and webcams. I'm looking forward to meeting a number of people next June at North Texas RPG Con. Zell told his employers about the legend of a haunted house near his hometown of Saltmarsh, a fishing town located about.a day's sail from Kromarium. There might even be a reward from the town council.